Zoho One recently announced a major overhaul of its flagship applications suite. The big changes include a mobile app, analytics that blend data from apps across the suite, implementation of the Zia conversational AI-powered assistant and a new Search feature that corrals information. The free concierge is available to subscribers. The new upgrades are designed to integrate information from apps so small businesses can get all they can from AI and machine learning technologies. Small Business Trends spoke with Zoho Chief Evangelist Raju Vegesna about the changes and how smaller enterprises can benefit. He started by painting a rosy picture for the suite that’s entering its second year. “So far we have ten thousand customers. Businesses have bought into the idea they can balance operations on a suite of applications,” he said. 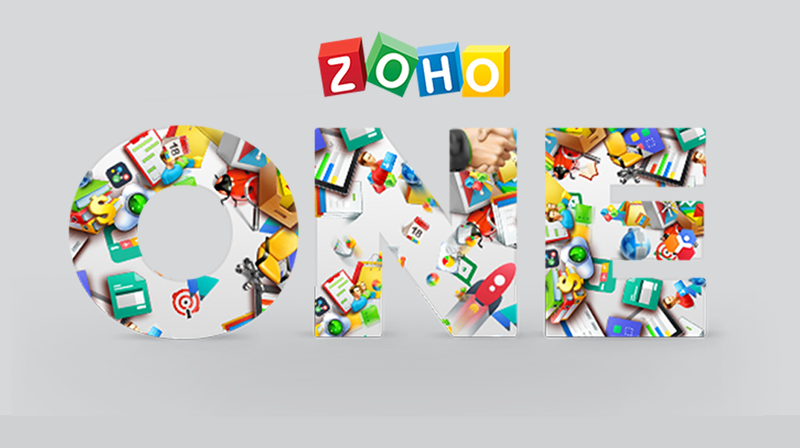 In fact, a company press release says Zoho One has already replaced over 600 other products. This AI powered assistant was first introduced in 2016. A few upgrades have streamlined it and given it the ability to do several new things. For example, Zia can draw on information from a variety of other ZOHO sources to amalgamate data into useful charts. It uses simple voice commands to perform other functions like monitoring the number of customers in a sales pipeline with an open ticket. The upcoming Zia Voice Platform will be even more customizable allowing for more specific inputs and new skillsets. “Because Zia can now process and access more information across a broader set of applications, the answers it supplies are smarter,” Vegesna says. Another dramatic improvement for small businesses looking to have relevant data at their fingertips is the new Zia Search function. This option searches through all Zoho apps instantly. Because it was built to understand what can be digital roadblocks like authorization, design and domain rules that affect other searches, Zia Search is another arrow in the quiver of these new upgrades. Simplicity is another benefit since Zia Search offers previews and several other options from one window. Another one of the engines driving these changes is the Zoho One Analytics tab. It supplies the ability to track KPIs and other important metrics from one place. Small businesses also can tailor make their own reports and dashboards that draw from data supplied from different apps under the Zoho banner. Other benefits here include over 500 pre-built time saving options and the ability to use data harvested from third party applications too. Vegesna says these dashboards cover all the business bases. The Zoho One mobile app allows small business administrators to do a variety of things like manage security permissions and even onboard new employees when they’re away from their offices and desks. Zoho One costs $30 per employee per month. A license is necessary for every employee. Zoho One has a 30-day trial version you can get here: zoho.com/one. Zia for Zoho One is not out yet. The Analytics upgrades will be released in phases but you can get Zia Search at search.zoho.com. The Google Play Store has the Android Mobile app with the iOS app version being released soon. Kourtney Kardashian DESTROYS Kim and Khloe on Twitter After KUWTK Premiere!